Romania’s Justice Minister called on Thursday for the country’s chief anti-corruption prosecutor to be dismissed for “excess of authority”, triggering street protests and potentially destabilising a crackdown on graft. She has led anti-corruption prosecution agency DNA since 2013 and, under her management, conviction rates have risen sharply in one of the European Union’s most corrupt states, winning plaudits from EU authorities in Brussels who have Romania’s justice system under special monitoring. Romanian architect Serban Marinescu never thought he’d come up against such brazen corruption. And when a city mayor demanded a backhander, he plucked up his courage and reported him. The country’s ruling Social Democrats tried a year ago to decriminalise several corruption offences by emergency decree, leading to its largest street protests in decades. Hundreds of thousands of people hit the streets across Romania on Wednesday (1 February) to protest the government’s decriminalising of a string of corruption offences, the largest demonstrations since the fall of communism in 1989. A judicial overhaul approved by the ruling coalition late last year – which was criticised by the president, thousands of magistrates, the European Commission and the US State Department – is back in parliament after the Constitutional Court ruled some of its provisions were unconstitutional. 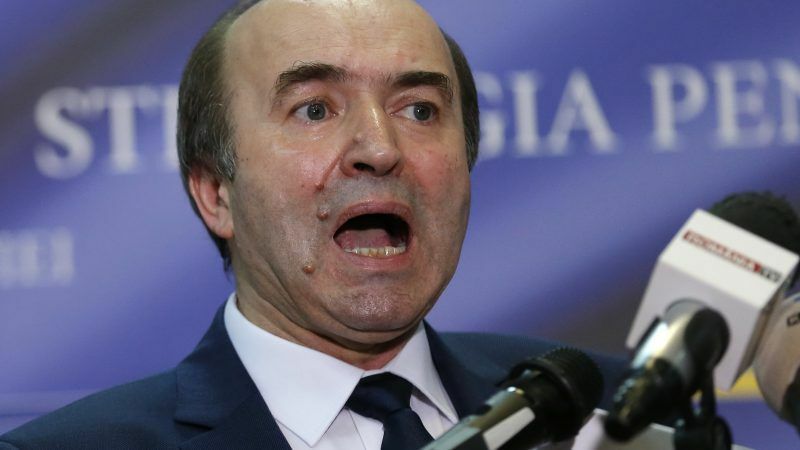 “DNA is not the same as its chief prosecutor, whose actions have proved can jeopardise the institution through an excess of authority… defying parliament’s authority and challenging Constitutional Court rulings,” Toader said. The minister, part of a one-month old cabinet that is Romania’s third in just a year, declined to answer reporters’ questions. Some of the arguments he invoked were unproved local media allegations of misconduct. President Klaus Iohannis, who has the final say on the removal of chief prosecutors, said in a statement Toader’s report was unclear and needed analysis. DNA has investigated lawmakers, ministers, mayors, magistrates and businessmen in recent years, exposing conflicts of interest, abuse of power, fraud and the award of state contracts in exchange for bribes. It has sent over 70 members of parliament to trial since 2006. The speakers of parliament’s lower house and senate are both currently on trial in separate cases. In a news conference last week, Kövesi defended DNA against attacks by some of those currently on trial, saying she would have no reason to resign if she was asked to. “This attack isn’t about Kövesi, it is about the prosecutors who have done their job. 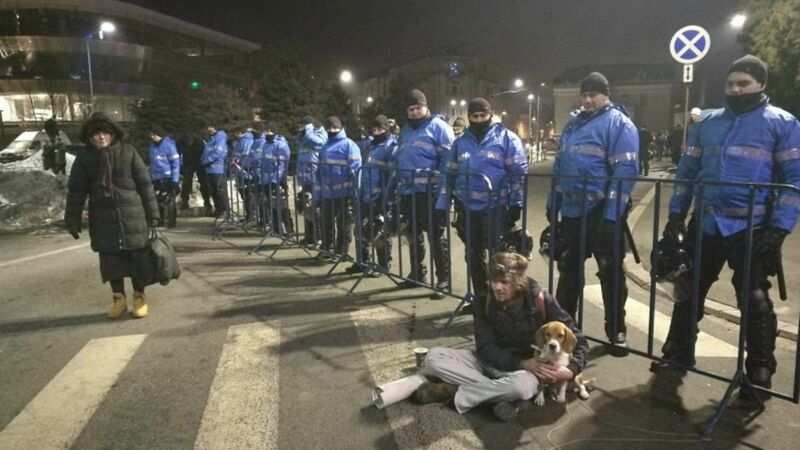 It aims to make the Romanian state kneel, humiliate society and the Romanian people,” she said. Romanian social democrats denounce political bias in DNA’s work and sometimes compare it with the communist secret services. SRI, Romania’s domestic intelligence service, is evolving into what many regard as the Securitate Version 2.0, a reference to Nicolae Ceaușescu’s feared security service, writes Nick Kochan. Hundreds of protesters gathered outside government headquarters following Toader’s news conference, chanting “You’re not getting away with it”. More were joining them and demonstrations also broke out in at least three other cities, according to social media postings by participants. 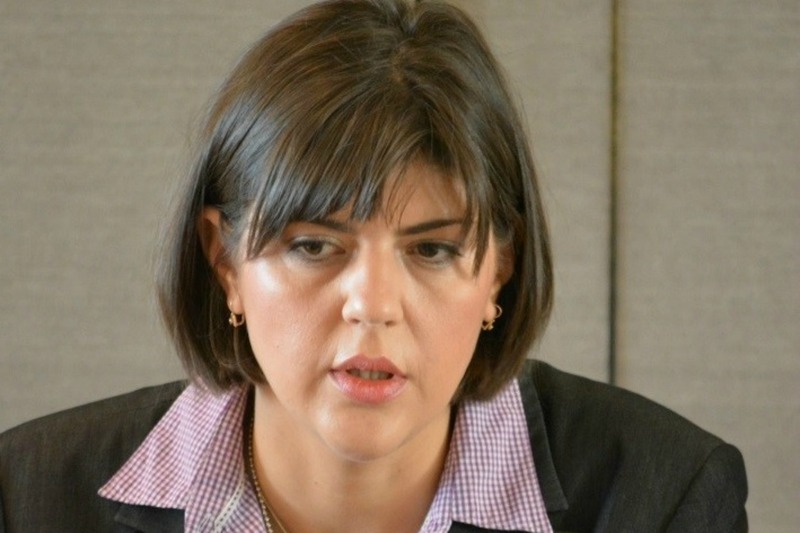 “In case there were people doubting the justice minister was not a political actor, this evening has clarified that,” said Sergiu Miscoiu, political science professor at Babes-Bolyai University.